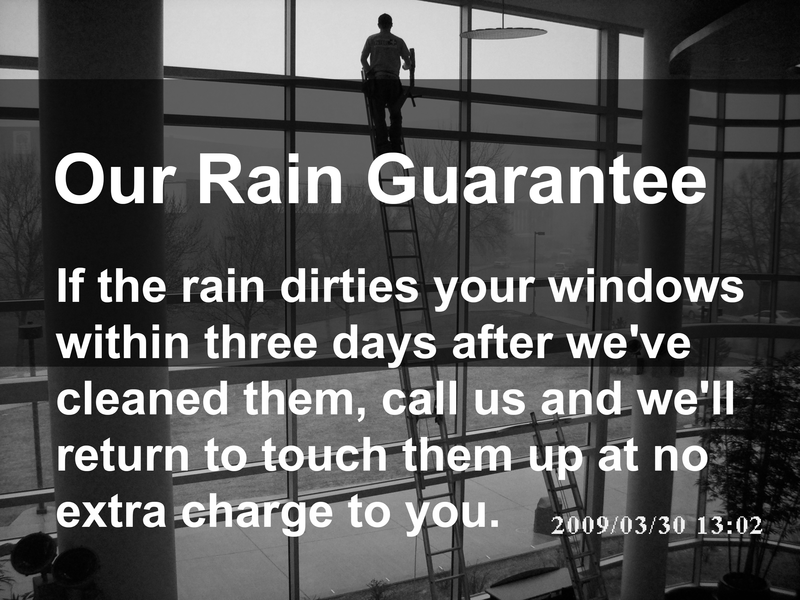 Rain may spoil a newly washed window if the ground is dry and the air is dusty before a storm. But if it has been raining off and on, and the ground is damp, and the air is clean, then rain, which is simply distilled water, will have no effect on a clean window. If rain is predicted for your scheduled service date: you may cancel or reschedule at any time. 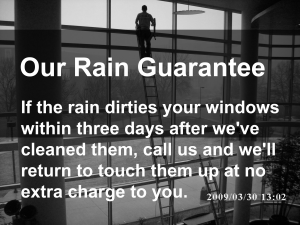 However, given that the weatherman is not always right, you may prefer to have us show up regardless, clean the inside windows, and return at a later, rain-free date to do the outside.